Use your desktop better - with Dayzio! 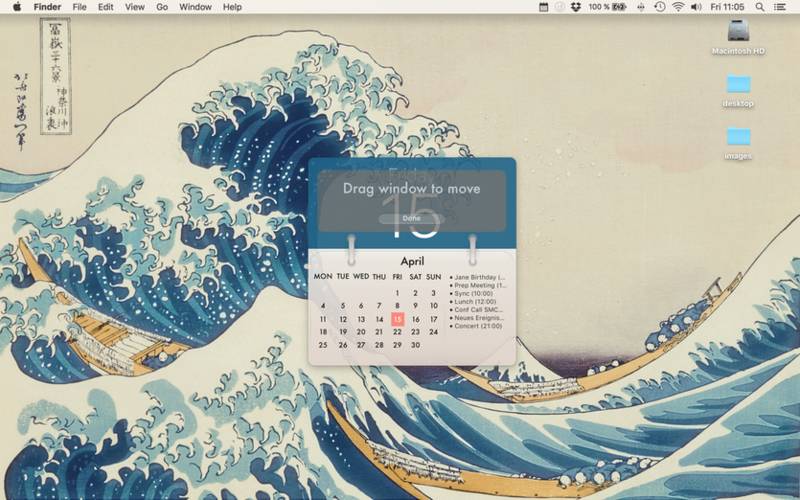 This desktop-integrated one-look calendar gives you super quick information about the day and the days events. Straight and beautiful design meet a powerful experience right on your Mac desktop. Dayzio retrieves your event data straight from iCal - check your appointments right on your desktop! With Dayzio, your desktop becomes more than a file dump! 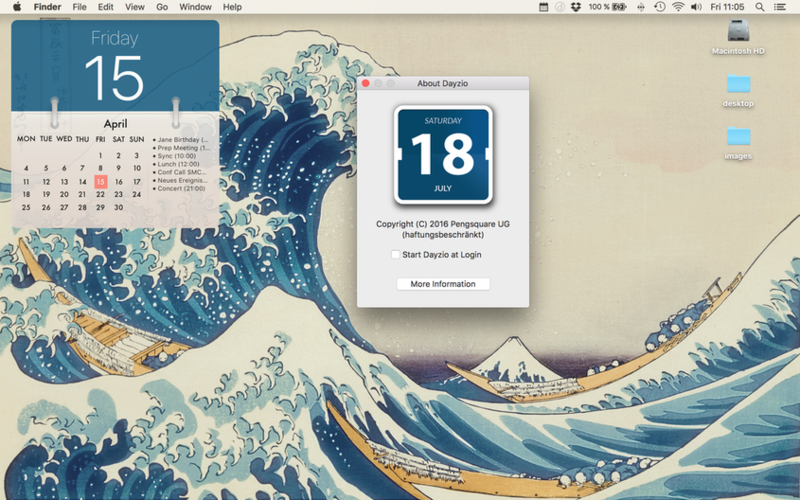 ​Dayzio is available on the Mac App Store for only 2.99!